LAS VEGAS, October 10, 2018 – Aavaz – a provider telephony applications for call center environments – today announced the commercial release of its Contact Center SMS Accelerator, which allows Sugar users to text individuals as well as groups from within their Sugar instance. The newly integrated solution will be marketed through Toronto-based SugarCRM Elite Reseller Mastersolve. “Mastersolve became interested in Aavaz because of the native integration with Sugar for both their CTI and SMS utilities,” explained MasterSolve Co-Founder and Chief Technology Officer Chris Cassity. “The flexibility they provide in allowing for third-party telephony platforms – such as AWS and Plivo – was also a huge plus in our minds. Texting with the Aavaz plugin has really helped enhance communication with our clients. It's so helpful to be able to text a client if they forget to jump on a coaching call or if we need to send out a digital survey to a large group. All the communication is tracked within Sugar, so everyone is on the same page. And with the email notifications in place, we never skip a beat! The Aavaz Contact Center SMS Accelerator is being released for commercial use today at SugarCon in Las Vegas. Please visit the MasterSolve booth (Kiosk 12 in the Gracia Commons) to learn more. Aavaz (a division of Tekege Solutions Inc.), offers call center productivity tools and a Cloud Call Center Suite (CCCS). The Aavaz CCCS features enhanced dialers, IVRs and PBXs integrated with Contact, Lead and Ticket Management. 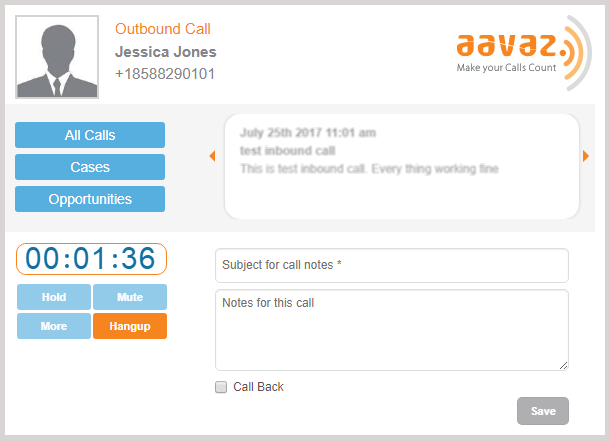 Aavaz brings call center precision to the forefront and lowers call center set up and operational complexity. Aavaz is the ideal solution for telesales, tele-support and telemarketing organizations requiring highly available and scalable systems. For more information visit: http://www.aavaz.biz. Mastersolve is business and technology consultancy with deep expertise in customer engagement, business process optimization, Customer Relationship Management, and Marketing Automation. Their customer experience team, business analysts, and business consultants have extensive track records implementing and customizing market-leading CRM solutions. Mastersolve is a CRM Elite Reseller headquartered in Toronto, Canada, with offices in St. Louis, MO. For more information visit https://mastersolve.com.